You are to create a timeline that outlines the key scientists and experiments associated with the development of modern atomic theory. The timeline should include the names of the scientists, a description of the accomplishments, pictures of experimental equipment or atomic models, and descriptions of important scientific laws or principles developed by these scientists. The earliest known concept of the atom came from the Greek philosopher/scientist Democritus between 460 and 370 BCE. Democritus thought of the world as being composed of very tiny "uncuttable" particles, which he called "atomoz" or atoms. These tiny, invisible particles were thought to be separated by voids -- empty space. He explained differences in materials as caused by differences in the sizes of the particles and the amount of empty space between them. The ideas of Democritus provided a good foundation for the development of modern atomic theory. After the death of Democritus, however, the great philosopher Aristotle (384-322 BCE) argued persuasively against the concept of atoms. Aristotle thought the earth was composed of matter, which he believed was made up of four elements: earth, air, fire, and water. He explained the differences in different types of matter as arising from the proportion, form, and qualities of the four basic elements that each type of matter contained. Aristotle's concept of matter was very different from that of today's chemists. The concept of atoms was once again introduced to the scientific world by John Dalton in his 1808 book, A New System of Chemical Philosophy. Additionally, Dalton’s Atomic Theory included five main points. Cannot be subdivided, created, nor can they be destroyed. They can simply be rearranged into different groups. 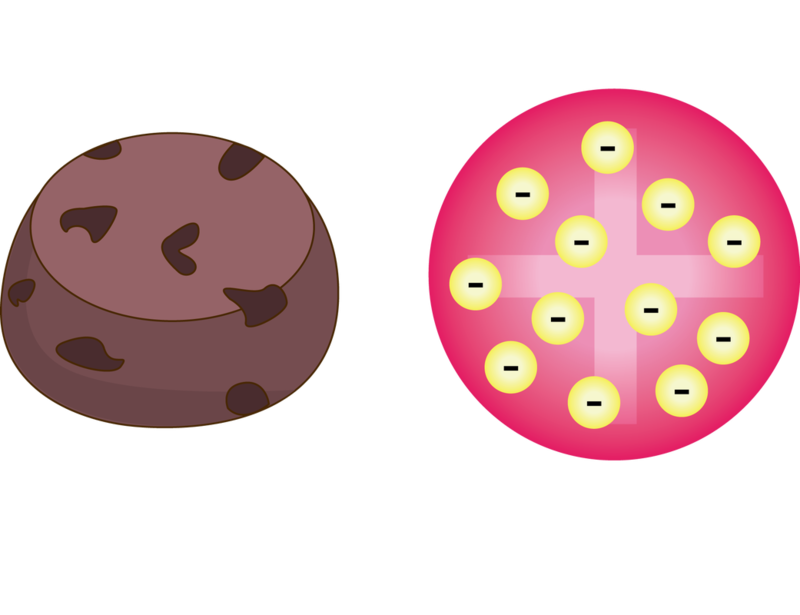 Of a given element are identical, while atoms of a different elements vary and can be distinguished from one another using their respective weights. Combine with or separate from other atoms to form compounds in chemical reactions. 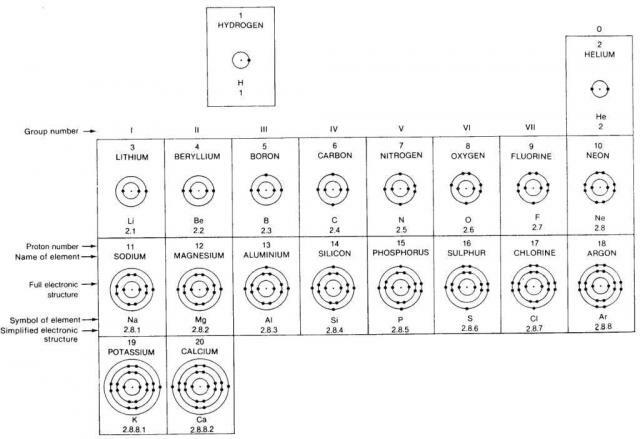 Of different elements form compounds in wholenumber ratios. 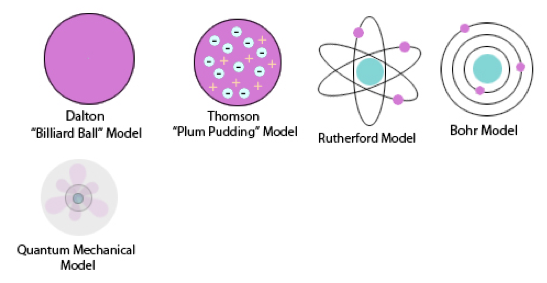 The Plum Pudding model was made by JJ Thomson. 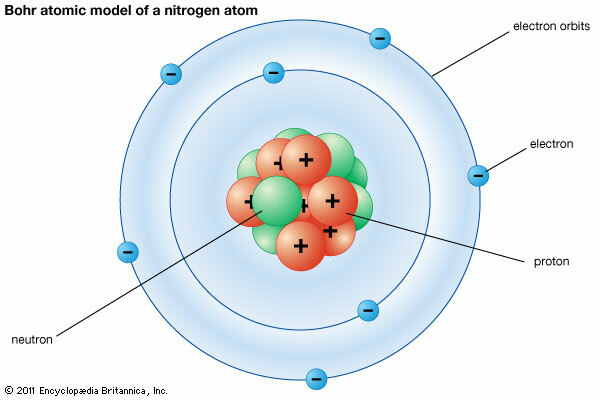 This was his idea of what an atom looked like. There was no centralized mass. There was plums and pudding in every model. The Plums were the negatively charged electrons and the pudding was a positively charged solution surrounding the plums. The plums were stationary. 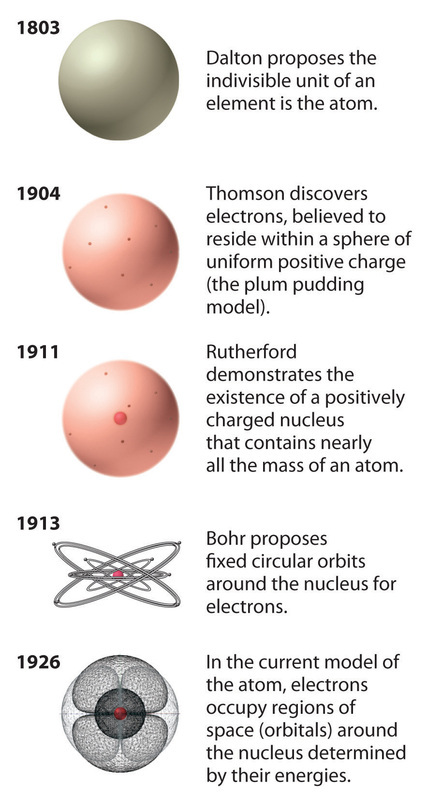 This was a major advancement in the structure of an atom. JJ Thomson is credited for the discovery of the electron and isotopes. Thomson used cathode rays and cathode ray tubes to discover the electron. Thompson used the magnetism in the cathode ray tube to show the electrons were prevalent. Thomson discovered Isotopes in 1913 when he streamed a channel of neon through a magnetic and electric field. He found that neon could have two different atomic masses. Published in 1913, Bohr's model improved the classical atomic models of physicists J. J. Thomson and Ernest Rutherford by incorporating quantum theory. Electrons can revolve round the nucleus only in certain allowed orbits and they do not emit radiation when they are in these orbits. Each orbit is associated with a certain quantity of energy. The modern description of the electrons in atoms, the quantum mechanical model, comes from the mathematical solutions to the Schrodinger equation. 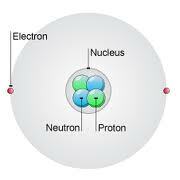 Like the Bohr model, the quantum mechanical model of the atom restricts the energy of electrons to certain values. Unlike the Bohr model, however, the quantum mechanical model does not involve an exact path the electron takes around the nucleus. 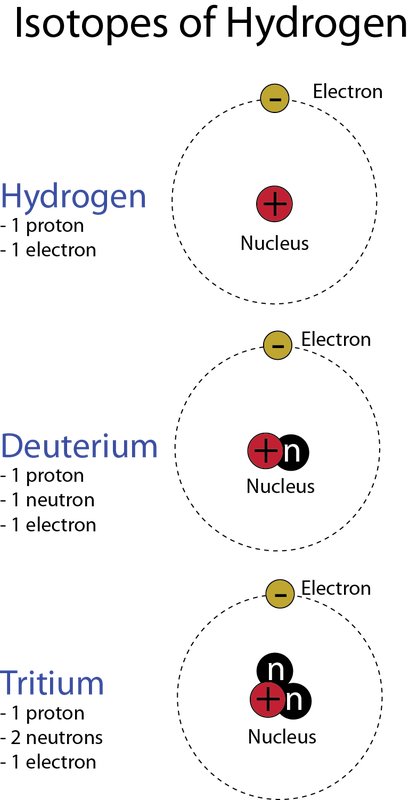 The quantum mechanical model determines the allowed energies an electron can have and how likely it is to find the electron in various locations around the nucleus.